This week is Brain Awareness Week, a good time to assess the growing influence that neuroscience research is having on how we think about meeting design and creating environments that support learning. At Convene, we’ve taken a lively interest in the topic: In our cover story in July 2010, Andrea E. Sullivan, president of Brain Strength Systems, introduced readers to mirror neurons, and Dr. John Medina got us thinking about chunking information during presentations. In January, David Rock, author of Your Brain at Work described how the NeuroLeadership Institute reconfigures their agenda and structure in pursuit of the goal of having the brain-friendliest meeting anywhere. In February, we explored a very new idea: that parks and public spaces don’t just help us relax, they help us think. The role of emotions in cognition and decision-making also is making waves. One of my favorite interviews in 2011 was with Anne Kreamer, author of It’s Always Personal: Emotion in the New Workplace. And Convening Leaders speaker David Brooks surprised me when I talked with him last fall by his knowledge and interest in mindfulness, which, come to think of it, we also wrote about last year. 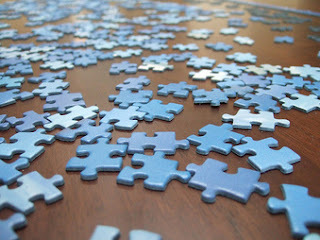 Researchers are at a very exciting stage, when the puzzle pieces of how the brain works are beginning to fit together. There will be lots more to think and write about, and to put into practice. A special salute this week to Jeff Hurt, of Velvet Chainsaw Consulting, and his passion for exploring brain-friendly meetings at Midcourse Corrections.